My previous articles have discussed how disaster management has trended toward focusing on bottom-up approaches. The idea is to decentralize disaster management processes onto the community and individual levels. The story goes that if people are more self-reliant, there will be less reliance on government when disaster strikes. If we continue on this trend, government’s role must shift from being a direct service provider to one that empowers communities. Empowerment occurs by government 1) including the community in decisionmaking and 2) by advocating for the community. This paper will take a closer look at what it means for government to be an advocate for the community in the disaster management process. Advocacy is a broad concept that boils down to taking action to help people say what they want, represent their interests and obtain the services they need. In many cases, people can advocate for themselves or for their own communities. The local community often knows what is best for them and can effectively work toward securing their wants and needs. However, when the community needs are too difficult to obtain on their own, the government can help support the community to acquire what they need. This ties in to Michael Walzer’s theory that public administrators are “helpers” rather than direct providers of goods. After a community is included in the decision-making process of the local disaster management department, advocacy becomes easier. Community leaders are able to advocate on behalf of themselves and the community. They can express their concerns for the local community and critique the government’s policies. This sets the community’s agenda upon the government’s institutional agenda. Government can take this information and find ways to secure the wants and needs in a way that the community may have had a more difficult time in doing for themselves. Take, for instance, the trend in government to use the Internet and social media. A growing number of cities and counties are turning toward the Internet for cheap, effective and efficient methods of governing. Government uses of the Internet can range from paying fines to applying for jobs to even paying for utilities. There have also been multiple PA Times articles on the use of social media when disaster strikes. While government use of the Internet is a great aspiration, many groups do not have equal access to the Internet. Groups with lower access to the Internet are people of color, the elderly, rural citizens and the poor. These groups of people would not necessarily be able to provide cheaper Internet for themselves easily. They, as individuals, do not hold as much power as the government does in terms of provision of goods. However, government has the power to advocate on the behalf of citizens by investing in a public Internet infrastructure in the same way it often provides electricity or water. Government can play a more active role in the provision of Internet goods, such as public Wi-Fi or providing a fiber-optic communication delivery system. After Hurricane Katrina, New Orleans offered the nation’s first free wireless Internet network owned and operated by the city. In theory, this would provide valuable Internet access to underserved populations, while also acting as a powerful economic tool. 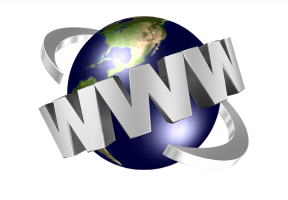 Viewing the Internet as a public utility can prove helpful in providing affordable service to groups currently without access and develop a city economically, exemplified by Hawarden, Iowa (Section D, Pg 72). These projects would be unlikely to occur if it were not for government doing so on the public’s behalf. Abraham Lincoln said the legitimate object of government is to “to do for the people what needs to be done, but which they cannot, by individual effort, do at all or do so well, for themselves.” For government to advocate on behalf of its people is arguably the most crucial part of the decentralization of disaster management to the community level. Communities and individuals can self-advocate, but they often seek government intervention when individual efforts are not enough. Most individuals are unlikely to have the political or economic weight to catch the eye of international companies, such as Google, to come and invest in a public Internet infrastructure. Likewise, many communities are unable to provide for themselves the tools and supplies needed to prepare adequately for a disaster. Acting on the public’s interest, government can act as the community’s representative when dealing with the private sector. Government can use its political and economic weight to negotiate with companies to provide goods and services to the community in ways that the individual cannot coordinate alone.